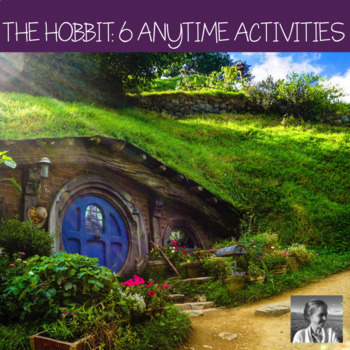 Want to see your readers happily engaged with The Hobbit? Sprinkle these activities anywhere in your unit and enjoy the results. 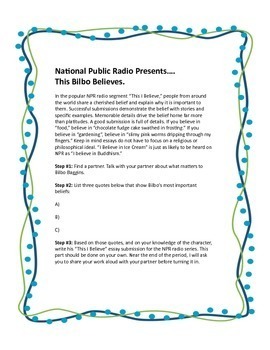 "Love the creative ideas in this resource!" Use these cards to liven up a daily discussion of the text. This handout of differentiated activities makes for a solid day (or two) of in-class work. In this activity, students consider how their chosen character might interact with the world via Twitter. 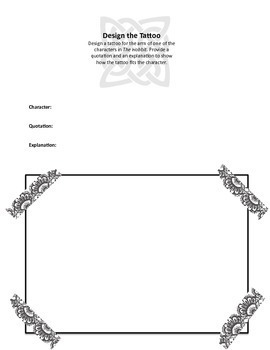 For this fun activity, students think of a way to represent some aspect of a character with a tattoo for his arm. In this twist on the usual casting assignment, students cast a movie version of the novel using characters from other books. Click the green star above to follow along and be the first to know about flash freebies and great new resources for your classroom.